Water heaters eventually go bad, and when they go bad, they go bad quick. One morning, you may wake up and realize there is hot water. If you in inspect your water heater closely however, future issues are usually easy to predict. Water heaters only last for so long, and eventually need to be replaced. If you wait too long to replace your water heater, it may fail completely, and taking a cold shower will seem like an enjoyable experience compared to dealing with the resulting water damage from a blown out water heater. Instead of waiting for the worst-case water heater scenario, consider replacing your water heater with Bay Area Plumbing Now, before it fails. You won’t regret it! If you and your family are consistently running out of hot water during your showers, it may be time for water heater replacement. Whether you are looking to get the best water heater unit for your budget, or you have purchased a new unit already and need water heater installation, we would love to help bring hot water back to your home. Call today to schedule an appointment for water heater replacement, or even an inspection to make sure your water heater has some life left and is in good shape. Water heater replacement can be a simple process, or it can be a bit more involved for your plumber. In cases where your water heater is simply due to replaced and has not failed, and where all aspects are up to plumbing code, a simple swap out can be done in a few hours. 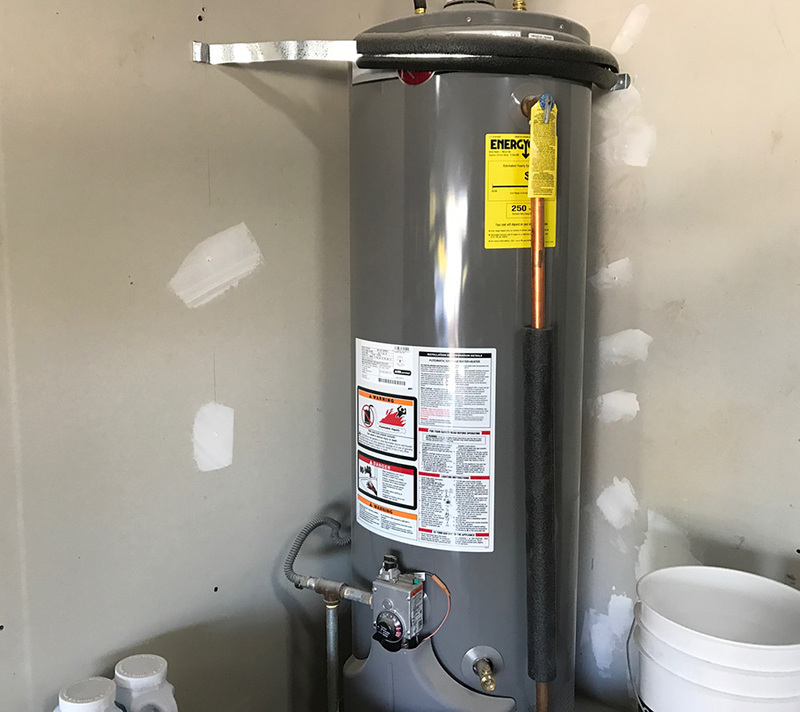 In other situations, such as a water heater that has been leaking, more work may be required, such as fixing water damage, replacing the water heater stand, or bringing the new water heater up to code. Scheduling an appointment before you purchase and replace your water heater will give us a chance to identify any potential issues before replacement. Some homeowners may take the opportunity to install an energy efficient tankless water heater. Depending on your current setup and desires, installing a new tankless heater to replace an old traditional water heater may require additional time and work, but will lead to increased efficiency and space savings. Bay Area Plumbing Now services the East Bay and San Francisco, with 24 /7 / 365 emergency water heater replacement services available. We even have a coupon for water heater installation available for our San Francisco and East Bay clients including Concord, Walnut Creek, Lafayette, Danville, San Ramon, and everywhere in between. Stuck with no hot water? Make the call now or contact us by email and we will schedule a time for water heater repair or replacement.